The trusty skirt can often get overlooked in your closet, giving way to floral frocks and staple jeans instead. But turn your attention to its many attributes—sophisticated, flattering, and versatile—and you’ll see just how much potential a simple skirt can add to your world of sartorial possibilities. It’s also important to add that a great skirt defies time—perfect for all ages. 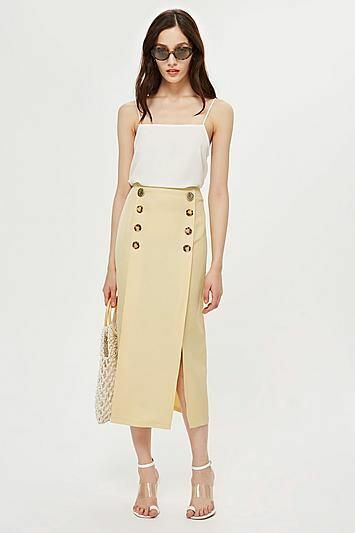 The trick is finding one in a timeless silhouette (think a wrap skirt or A-line), made of a quality fabric (no heavy denim distressing or overpowering embellishments), and hits an appropriate length, falling easily on the body—a midi skirt is one of our favorites that is universally flattering for all ages and figures. (And yes, you can wear a miniskirt over 40.) Here’s the fun part: You can style your skirt to reflect your personality. 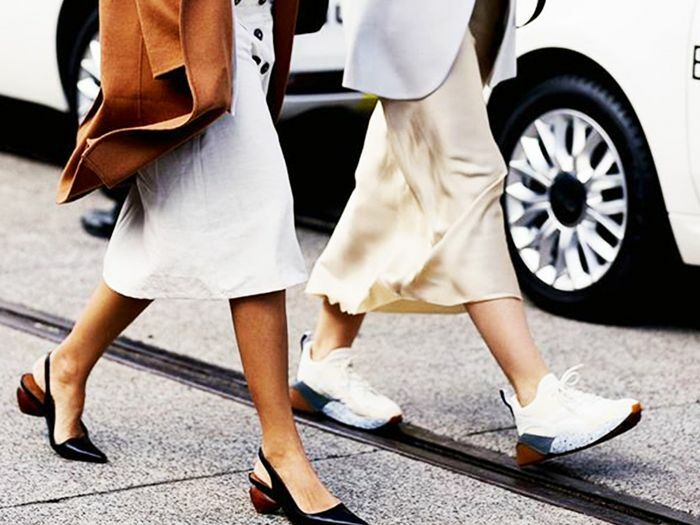 Pair a silk midi skirt with this season’s must-have sneakers or opt for a leopard-print A-line skirt that skims over a chic pair of knee-high boots when fall arrives. The options are endless. Scroll below for our must-have timeless skirts—perfect for all ages. Contrasting buttons lend a modern touch to this sophisticated midi. Silky slip skirts are timeless and can be paired with everything from barely there sandals to sneakers. A wrap skirt is universally flattering. Leopard prints are having a moment this summer and have no signs of slowing down for fall. Time to invest in this ageless print. Vibrant block colors look chic at every age. Asymmetric pleats are a perennial fashion favorite. This classic A-line silhouette is worth the investment. Thank you, Gucci. A polka-dot print defies age. Tweed fabric adds a grown-up touch to this perfect-length mini. Your denim will last you through your years if you keep the silhouette fuss-free. We can’t wait to style this with a turtleneck and knee-high boots come winter. An asymmetric design looks chic with pointed-toe kitten heels. Say yes to a striking floral print. We love a good ruffle. Wear this long-lasting print from work to weekend. A ditsy floral print exudes flirty French charm. Up next, all the midi dresses worth buying are under $100.